If you’ve been reading my reviews here at The Ferguson Theater or listening to me pontificate over at Better In The Dark then you know full well that one of my particular bugaboos is how African-Americans are so poorly represented in horror movies. 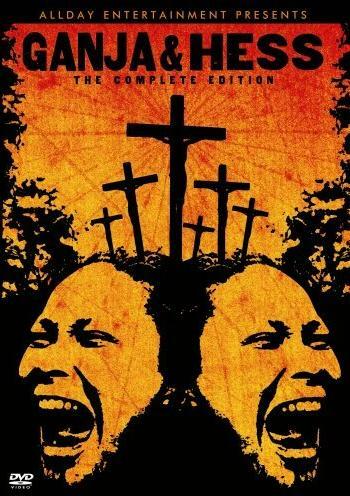 Despite its reputation as a ground breaking horror movie that has a black man as the lead character, I can’t get behind the original “Night of The Living Dead” on that basis. Oh, it’s a superior horror movie, I don’t dispute that. But every decision Ben (Duane Jones) makes gets somebody killed. Ironically, he survives the night by doing exactly what another character suggested at the beginning of the movie: he goes into the basement and stays quiet. Earlier on, Ben had rejected that plan and insisted everybody stay upstairs while he nails all the windows and doors shut, keeping every light in the joint burning like its New Year’s Eve. Naturally, every zombie for miles is attracted to the light and noise. You know the rest. And then there’s GANJA & HESS. It’s a vampire movie unlike any other vampire movie I’ve ever seen. I’ve heard about this movie for years but it has been notoriously hard to find. Once again I have to bow in respect to Turner Classic Movies and their Saturday night “Underground” as they have repeatedly come through in airing long forgotten movies I had given up all hope of seeing. But hey, they aired “The Apple” and for that alone, they had me. They regularly show GANJA & HESS so keep an eye out for it there. Duane Jones from “Night of The Living Dead” is starring in this one He’s Dr. Hess Green, an archaeologist and geologist whose particular field of expertise is the ancient and long dead African civilization of Myrthia. He’s breaking in a new assistant, George (Bill Gunn) who seems to be borderline manic depressive as he’s given to these long rambling stream-of-consciousness conversations that really aren’t conversations as he’s the only one talking. Hess mainly smokes and listens to him in silence. No doubt wondering if he shoulda checked out this cat a little more in depth before hiring him. The camel that breaks the straw back is the night when Hess finds George sitting up in a tree, drinking wine and contemplating suicide. That same night, George attacks Hess, stabbing him with a bone knife from Myrthia. George kills himself afterwards but Hess amazingly has not died. The bone knife has infected him with the curse of vampirism. But it’s not the type of vampirism we’ve come to know from other movies. Hess can be seen in mirrors. He walks around quite comfortably in daylight and rather than shunning churches and the cross, he keeps crosses in his house, employs a minister as his chauffeur and actively professes his Christian beliefs. But the bloodlust is there and to satisfy it, Hess is forced to steal from blood banks and prey on lower class street people. 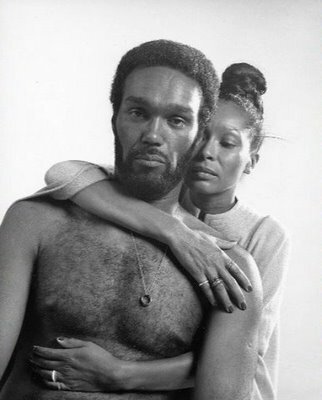 What sets GANJA & HESS apart from any other vampire movie for me is the clash of African blood rituals and American Christianity depicted. Hess is plagued by visions of a Myrthian queen (Mabel King) but at the same time he is drawn toward Christianity as a means of curing himself or at least of saving his soul. Ganja’s influence drives him in a new directly as she is motivated solely by material possessions. It’s an amusing scene when she first meets Hess and assumes he’s a servant. If and when you see the movie, observe how fast her attitude changes when she realizes that Hess is wealthy. For her, wealth covers a whole lot of multitude of sins. Even murder and vampirism. But be advised that this is a movie shot on the cheap. There obviously wasn’t much money to spend on this. But that works in the movie’s favor as if has a gritty, realistic feel that adds to the horror, especially during one of the movie’s more powerful scenes where Hess kills and feeds on a whore and her pimp. Marlene Clark walks off with the acting honors and well she should. By the time she did GANJA & HESS she had already racked up numerous roles in blaxplotation films and TV shows. What I like about her in this one is her naked lust for material wealth that in itself a form of vampirism. So should you see GANJA & HESS? Now that’s it’s also available on DVD I certainly think you should. It is slow moving in spots and almost blatantly surrealistic at times. But it’s a powerful exploration of the vampire that I found engaging and highly interesting and I’m betting you will, too. Enjoy.